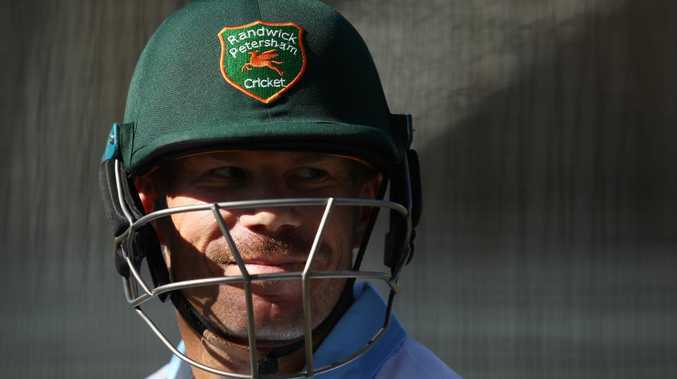 David Warner will undergo surgery in Melbourne on Tuesday to fix an elbow injury he first noticed while paddle-boarding on Sydney Harbour. Warner has returned early from a stint in the Bangladesh Premier League and will be operated on by renowned Melbourne specialist Dr Greg Hoy. Warner first noticed a niggle in the joint while paddle-boarding over Christmas and it flared during his stint with the Sylhet Sixers in the BPL. The wear and tear injury is not serious and Warner is not considered in danger of missing this year's World Cup or Ashes series in England. Warner is expected to wear a sling for a week and take three weeks before he is ready to resume full training. Given Australia's batting woes it is considered inevitable that Warner and Australian captain Steve Smith, who also has an elbow injury, will be rushed back into the Australian sides when the year bans for ball tampering expire in March. Australia has been unable to settle on an opening combination since Warner was banned with Aaron Finch dropped after the Indian series. Usman Khawaja and Joe Burns are in contention to open with Marcus Harris in the Test against Sri Lanka in Brisbane starting Thursday.